The confidence in knowing what you are getting makes the decision easy. 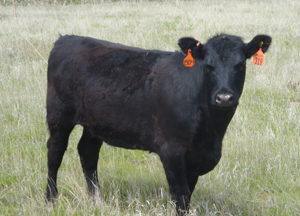 With DNA testing, we can sort a set of heifers that match the traits that are most desirable to you. 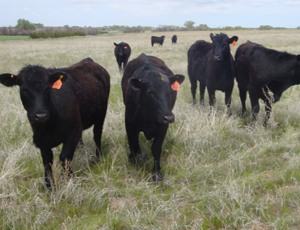 The breed back on our heifers have historically run between 95-97% with numerous cases of 100%. One of the things most commented on by our customers is how gentle and easy to work with the heifers are. 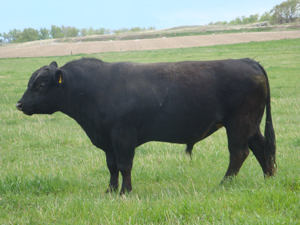 We feel this is the result of our unique weaning process that includes gentling techniques learned on the Hoffman Ranch in Stuart NE. The heifers are artificially inseminated to bulls with a direct calving ease EPD of 15 or higher. 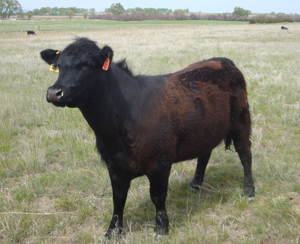 The bull bred heifers are bred to home raised bulls out of the A-I bulls, and are noted at birth to be extremely easy calving and low birth weight. The heifers are also pelvic measured and now are DNA Tested for maternal calving ease and culled appropriately.